Model Maria Borges is no stranger to the Victoria’s Secret Fashion Show runway–neither is her natural hair texture. 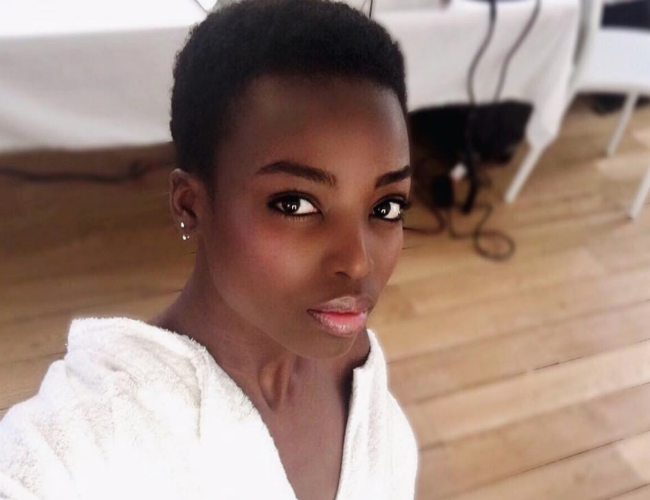 Having walked in the acclaimed show both in 2013 and 2014, everyone couldn’t help but notice something strikingly different about Borges’ appearance last year when the Angolan beauty consciously decided to rock her natural hair in a teeny weeny afro–TWA in natural hair terminology–instead of concealing it with a wig or with long, tousled ‘bombshell’ waves like her fellow VS show Angels. Since Borges’ 2015 appearance was such a hit, this year the show’s production and styling team made the decision to have every single model rock their unaltered hair texture. What we witnessed was a colorful, delightful sea of hair goals in all lengths, textures, and hues. And to top it all off, Lady Gaga, The Weeknd, and Bruno Mars blessed the stage in some much-needed musical inspiration for the Angels to strut their God-given attributes with the amount of confidence necessary to do so. What was your favorite part about the 2016 Victoria’s Secret Fashion Show? Follow me on IG + let me know your thoughts. Read the rest of my article from last year’s VS show on Teen Vogue. Previous my scraps: dispose of these, responsibly and properly.